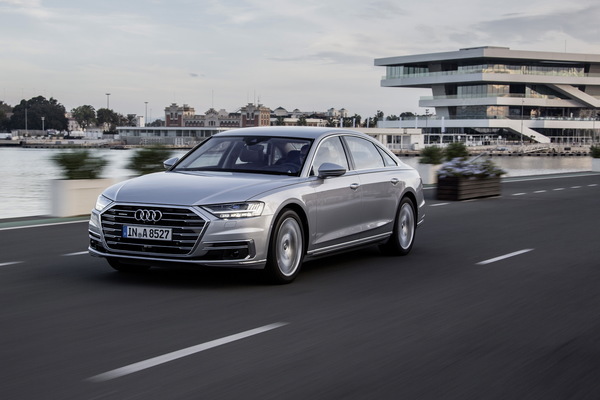 The Audi A8 is all-new for 2019, bringing in a new look, more upscale features, a new powertrain, and more. With this redesign still so new, we expect no changes when the 2020 Audi A8 rolls out. 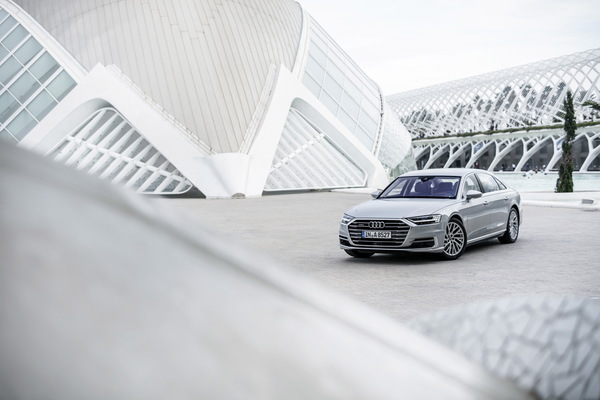 In 2019, the Audi A8 receives a brand-new look that includes a wider and lower singleframe grille, more muscular body lines, all-new headlights and taillights with OLED technology, and more. This new look is far from revolutionary, but it modernizes the iconic and timeless Audi design language. With this look rolling into just its second year, we expect the 2020 Audi A8 to have no visual differences. 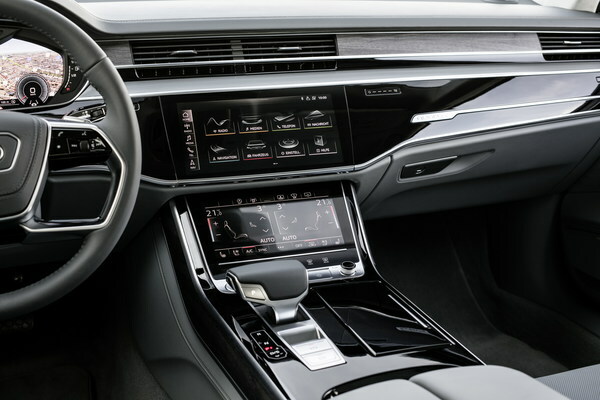 Inside, the redesigned Audi A8 receives a redesign on the same level of the exterior. This update includes more horizontal lines, making it visually wider, slick piano-black trimming, a new MMI Touch infotainment system with a 10.3-inch upper screen and 8.6-inch lower screen, interior air ionization, a new 12.3-inch digital gauge layout, and more. We expect this to all remain the same when the 2020 Audi A8 hits showrooms. With no changes coming visually, we expect the 2020 Audi A8 to boast the same list of standard features. If this is the case, look for it to come standard with 18-way power front seats with heat, a power tilt-and-telescoping steering column, Valetta Leather upholstery with fine Nappa extended leather, a 12.3-inch digital gauge cluster, and more. Under its hood, we also expect the 2020 Audi A8 to continue with the same 3.0-liter V6 engine with 335 horsepower and 369 pound-feet of torque. We also expect its standard eight-speed automatic transmission and quattro all-wheel drive. Though the IIHS has not tested the A8 for safety, the all-new A8 has loads of advanced safety equipment, including available automatic emergency braking, automatic high-beam headlights, rearview camera, adaptive cruise control, intersection assistance, Audi pre sense 360, a 360-degree camera, and more. 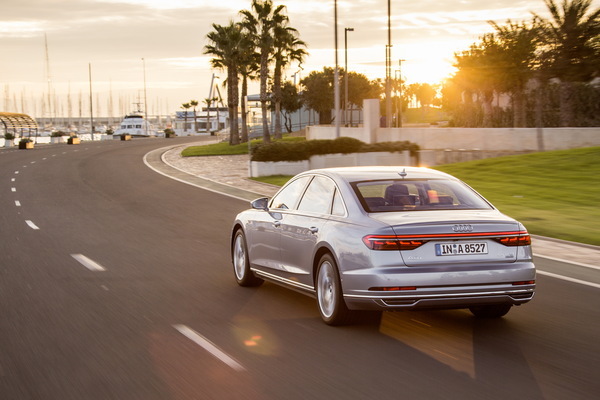 We expect all the safety features to remain the same in the 2020 Audi A8. There is no official release date for the 2020 Audi A8, but we expect pre-orders to start in the summer of 2019. It should be in showrooms in fall 2019. Pricing isn’t available yet for the 2020 A8, but with no changes coming, we expect pricing to remain similar to the current model’s $84,795 (destination fees included) starting MSRP. The 2020 A8 will compete with the BMW 7-Series, Cadillac CT6, and Mercedes-Benz S-Class.